SUVs have become the go-to option for people who want the versatility of a minivan but could do without the whole soccer-mom thing. Let’s face it, today’s SUVs are awesome — they look good, they drive well, and they give you that commanding view of the road that only larger vehicles can offer. And, despite their pedigree as modified trucks, modern SUVs are sleek and sporty and feel equally at home whether negotiating narrow urban streets or wide-open country roads. So when we learned that Lexus was working on a new idea for what future SUVs could look like, we were on the edge of our seats. In September, at the Paris Auto Show, the company unveiled its UX Concept. 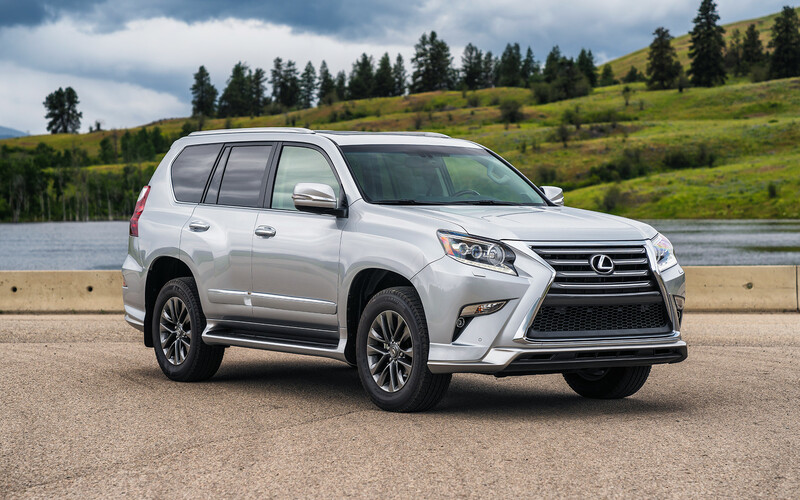 It’s no accident that “UX,” in addition to being a variation of Lexus’s use of the letter X to denote its SUVs, also stands for User Experience. While the UX Concept is clearly an SUV judging from its exterior, it’s the interior — where the users sit — that has received the most attention from the company’s designers. The first thing that catches your eye is the centre console. It looks like a crystal, with its angled facets, but look a little deeper and you can see that it’s actually a display. Not just any display — this one is holographic, offering the driver and passenger an animated, 3D view of the air conditioning and infotainment systems. Why? We’re not sure, but you could make almost anything 3D and it would sound cool. The driver gets a similarly slick readout in the area that normally houses gauges, with a floating sphere that combines both analog and digital information in one display. Glance over to the passenger side and you will likely miss one of the best features of the UX: That thing which looks like someone took the Sydney Opera House, turned it on its side and then ran it through a Photoshop filter? It’s not an air vent designed by Dyson — It’s a detachable sound bar. Finally not needing to remember to haul around a crappy Bluetooth speaker when you want to share some tunes would be worth the price of admission. The really observant folks will notice that outside the windows, something (well, somethings!) is missing. 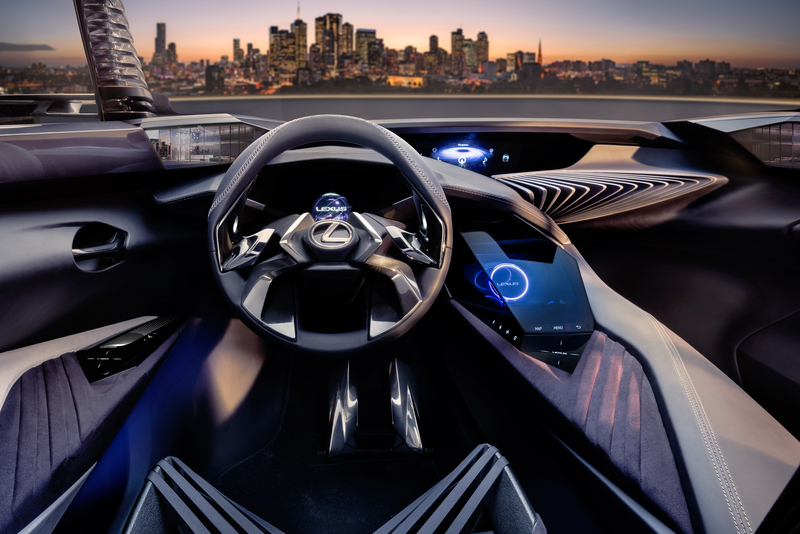 Lexus has replaced the side-view mirrors with “e-mirror” cameras, so now, instead of looking over at an external mirror, which could be obscured by fog, snow or road grime, you look at a pair of video screens that are placed inside the car. It’s worth looking at a few more shots of the interior before you leave. That way you can check out what has to be gnarliest looking car seats on the planet. 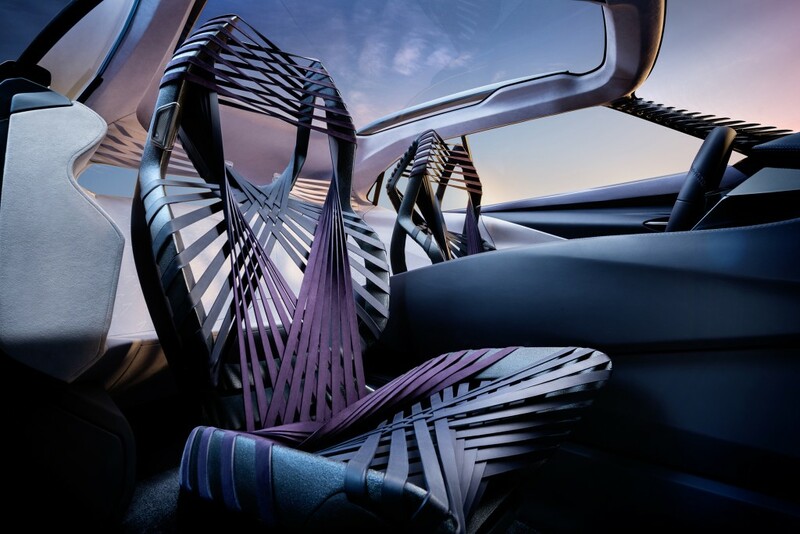 Like something out of an X-Men movie, these seats use stretched bands of fabric that support you yet let your whole body feel like it’s part of the driving experience. Yeah, they’re a bit Fifty Shades Of Grey if you know what we mean, but when was the last time a car seat got you excited? 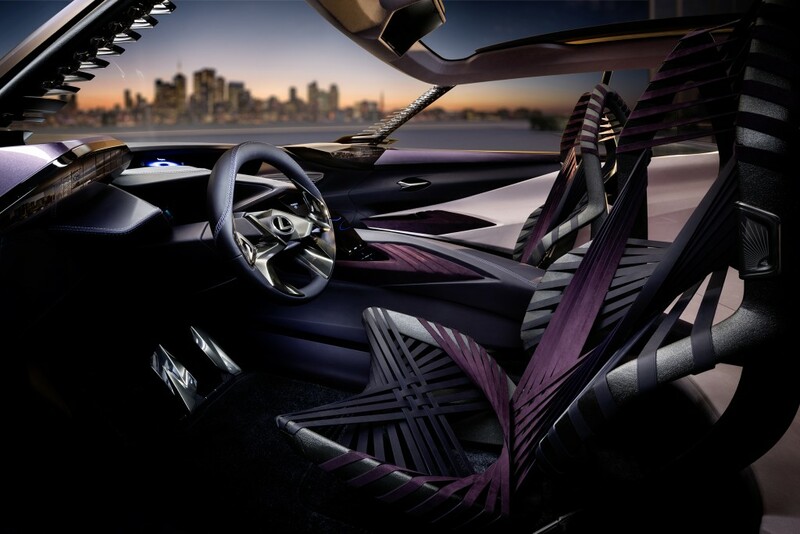 What do you think of the new Lexus UX Concept? Post your comments using the form below.